As much as I love living in London, I really enjoy taking a breather from the city life and get away during the weekends. This time Marlene and I took a road trip to visit Windsor, Eton and the Cotswolds, with MGallery by Sofitel and BMW Mini. First stop Windsor, the scene of this summer's royal wedding. I'm just so in awe with the grandeur and history of Windsor Castle. In a close by side street on the East side of Castle you can also find the insta-famous Crooked House of Windsor. Just across the river from Windsor sits the quaint English village of Eton. It is home to Eton College where Prince William and Prince Harry took their schooling. It is quiet and calm, in stark contrast to the overwhelming number of tourists in Windsor. There's one street through the centre of Eton, with lots of antique shops and traditional stores specialising in making Eton College uniforms. This place is so full of character and picturesque, which is why Eton is my clear favourite of the two. Castle Hotel MGallery by Sofitel was our home for the night. Situated in the heart of Windsor directly opposite of Windsor Castle, Castle Hotel is a great base for exploring the town. 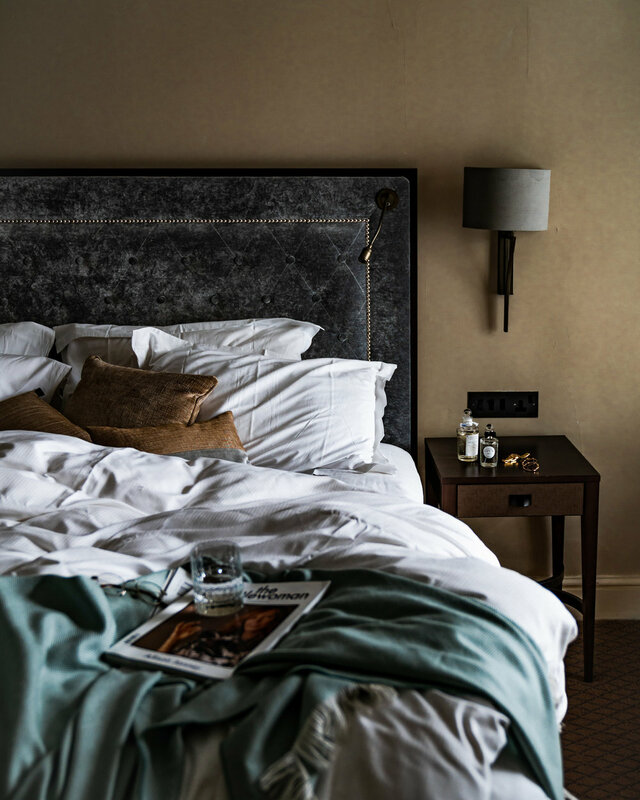 The hotel has a colour palette inspired by its heritage of being in service since the 15th century and receiving eight Royal Warrants awards along the way. 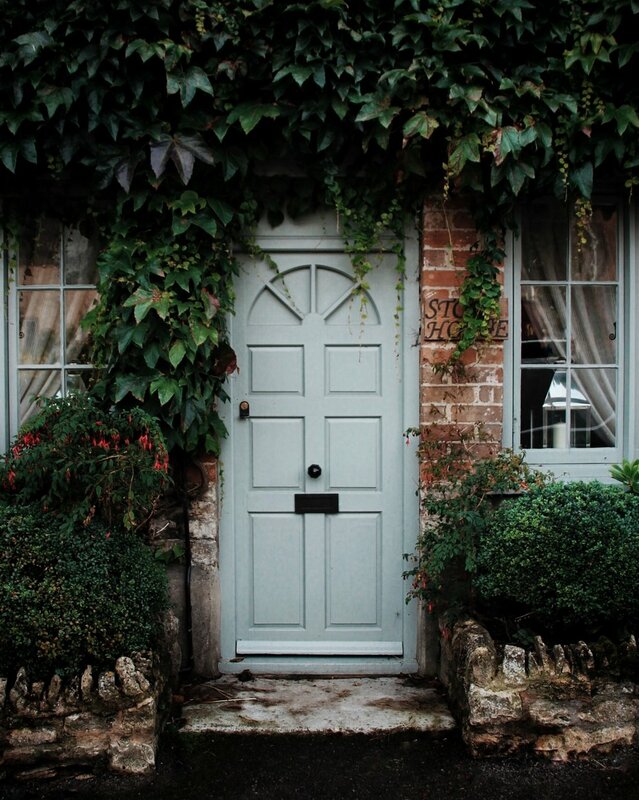 The neutral shades and the chalky textures of the walls give a sense of nostalgia. The colours of French grey and mushroom dominates the interior, with a pop of acid yellow shades every now and again. There is a Marco Pierre White Steakhouse Bar & Grill within the hotel itself as well, providing both great dining experience and convenience. We had a taste of the afternoon tea here at Castle Hotel, perfect for refreshing after a day out in the town of Windsor. 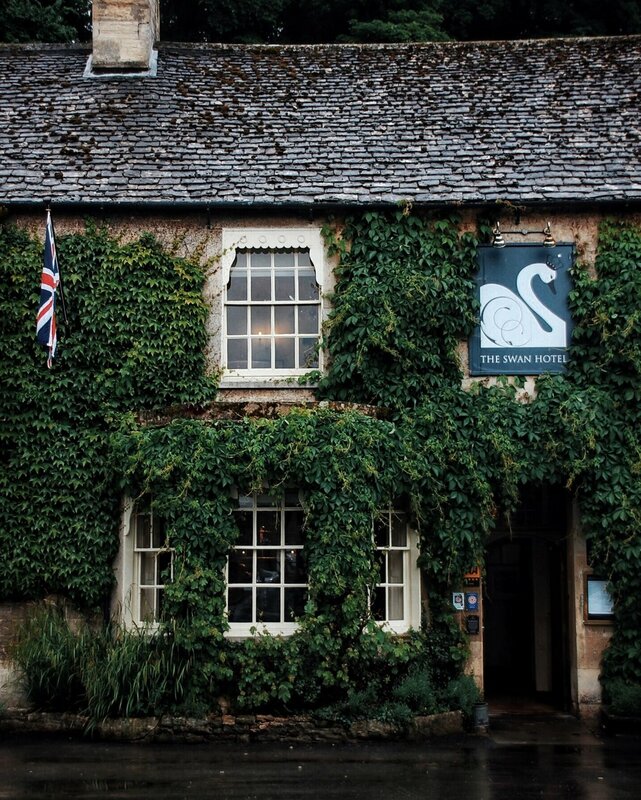 Day two, it's time for us to go to the Cotswolds and experience some serenity in the countryside. 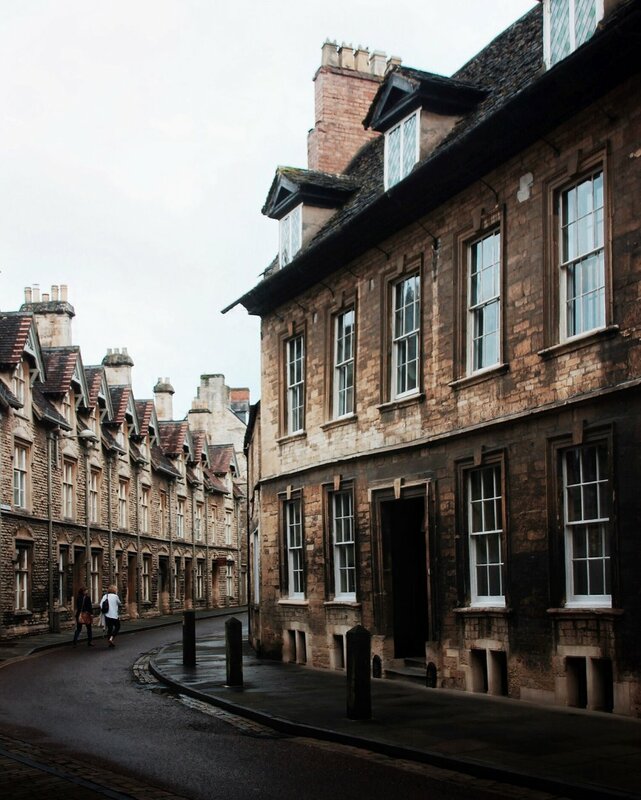 We based ourselves in the town of Cheltenham, in Queens Hotel MGallery by Sofitel as it's strategically located near some of the beautiful Cotswolds villages. This hotel has a completely different vibe to Castle Hotel, offering a majestic setting with its decor and architecture encapsulating all the elegance, heritage and grandeur of the neo-classical era. Housed in a Grade II listed Georgian building, the hotel is rich in history as it has been open since 1838. The most notable feature of the hotel is the original wallpaper by Augustus Pugin, pioneer of the Gothic revival style. The staircase which leads to the hotel rooms also provides a unique focal point. 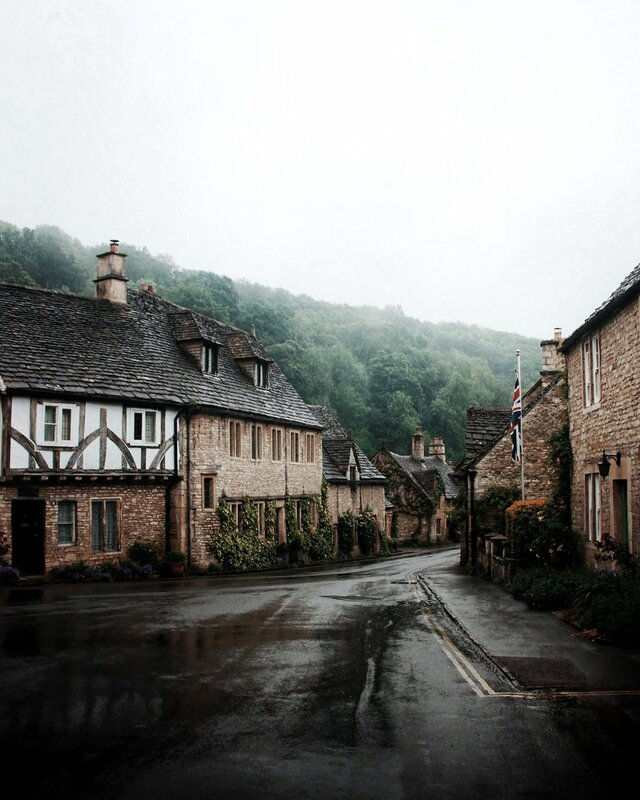 After bidding goodbye to Queens Hotel on our last day, we headed to the rainy Cotswolds in the comfort of our Mini Cooper. We really enjoyed driving the Mini Cooper for the weekend, as it's such a powerful vehicle despite being so small. The GPS system was also a breeze to use, helping us get to our destinations smoothly. 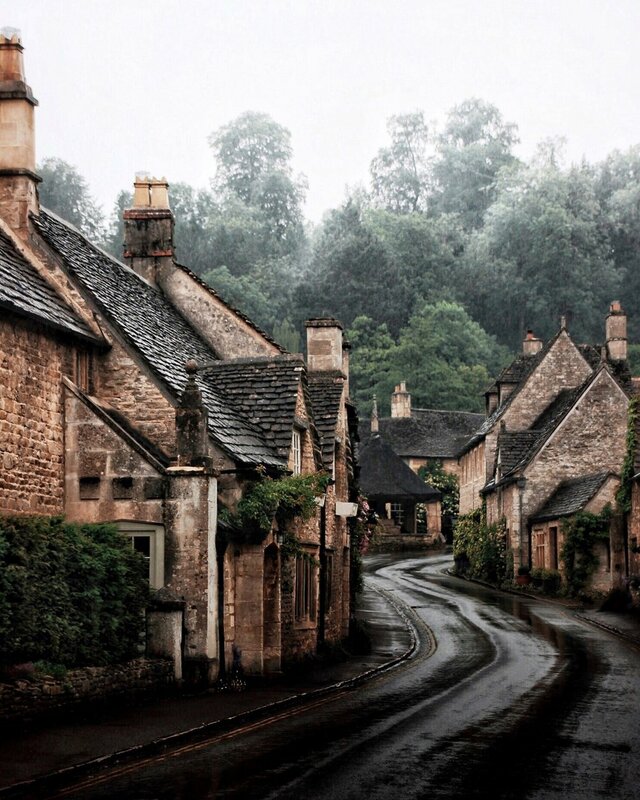 On the top of our list of Cotswolds villages to visit is Bibury in Gloucestershire. Of course I had to return to my favourite villages in the area - it would be silly of me not to. Arlington Row, famous for being in the British passport is as beautiful as when I visited last summer.. I might sound like a lunatic but I actually love photographing places in the rain, I think places just look ten times more atmospheric when the weather is moody and wet. 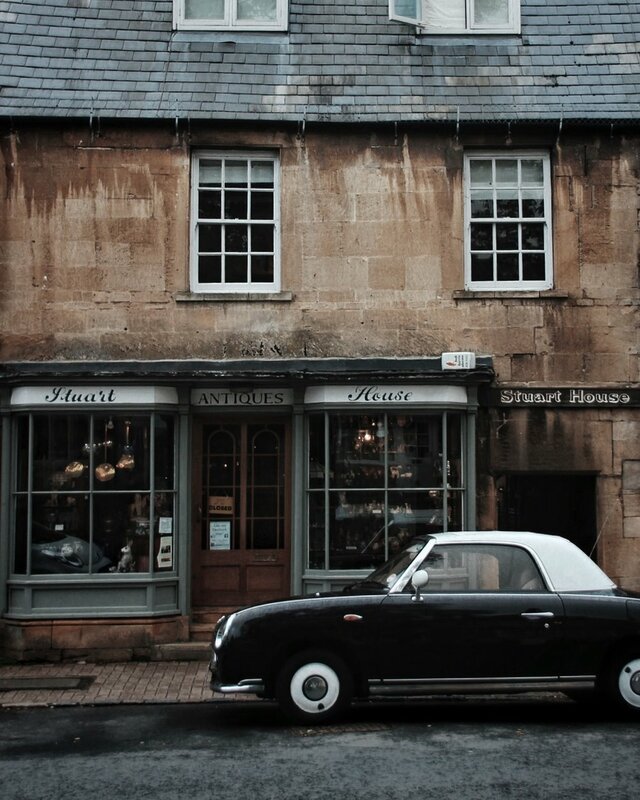 Bourton-on-the-Water was our next stop, again, one of my absolute favourite places in the Cotswolds. 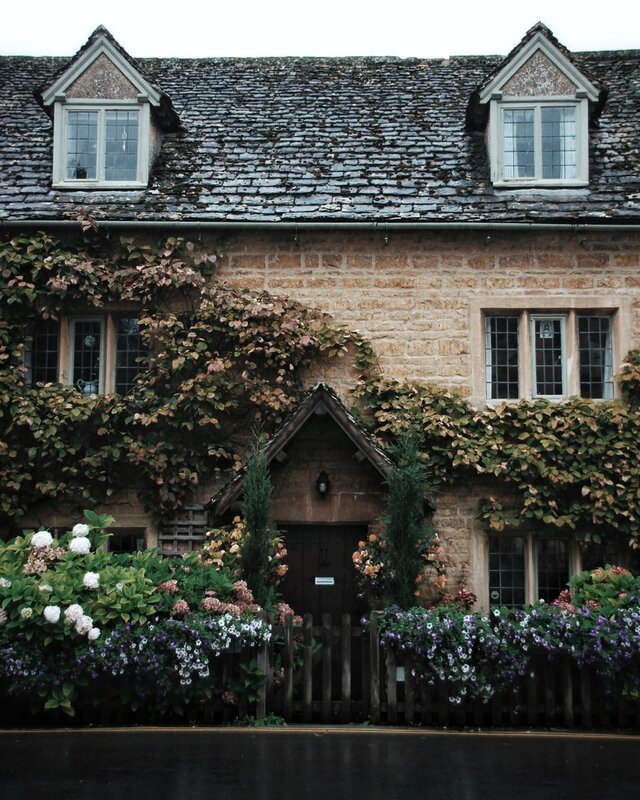 I've visited Bourton-on-the-Water every summer and this house never disappoints. When it's in full bloom it really is the most magical cottage ever. That being said, our Mini Cooper looked right at home in front of it. How I love rainy days. We watched the fog roll into the hills of the Cotswolds as we headed towards M40 back to London. Just like that, our weekend has come to an end. This post is sponsored by MGallery by Sofitel and BMW Mini. Since first getting introduced to Aesop's Fabulous Face Cleanser about four years ago, it's been a crucial part of my skincare routine. Aesop's one of my favourite brands not only for the quality of their products, but also the in-store retail experience and the design of all their shops. I've visited a handful of their stores in London, but the one in Duke of York Square really stood out. Pink isn't the colour I'd usually associate with Aesop, but they've really made this one work. With the prominent silver shelves and grand curves, this store gives a sense of luxury that is quite different from their usual understated and modest vibe. I was warned by the staff to not put anything onto what looked like a simple silver table surface, as it is in fact filled with water. The water was so still it was impossible to tell it apart from a flat mirror. Of course with a space like this I could not help but click away with my camera. Are you ready for the visual feast?